Schmaltz Recipe Pastrami, 1 lb. 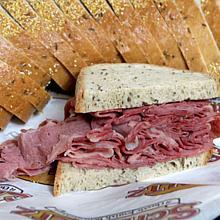 Schmaltz special-recipe pastrami is sliced thin and will quickly become your new favorite sandwich meat. Heat it up or serve it cold for the best sandwich you've ever had. Remember the mustard! We'll ship it to you freshly sliced in a one-pound vacuum sealed package. Schmaltz Recipe Pastrami, 1 lb. has been added successfully to your wishlist. Pastrami has been a Jewish favorite for generations. Schmaltz's pastrami is a highly-seasoned beef brisket, coated with salt, garlic, cloves, black pepper and more, and then smoked. If you were lucky, your Zayde took you straight to his favorite deli to get this perfect pastrami sliced right as you placed your order. Now, it's your turn. Pastrami makes an amazing sandwich, whether you serve it on rye bread simply smeared with spicy mustard, or go a little meshugene and add a little cole slaw on top of the pastrami for a new lunchtime combination. Either way, you'll be back for more of Schmaltz Recipe Pastrami. There are currently no reviews for Schmaltz Recipe Pastrami, 1 lb., but you can be the first! 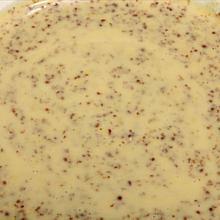 Mustard - Spicy, 8 oz. Schmaltz's spicy mustard is a little on the wild side. It is the classic condiment for your corned beef or pastrami sandwich. 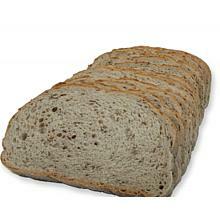 Rye Bread - seeded, 2 lb. This is your quintessential Jewish rye. Dense, tangy, seeded and medium sliced. Perfect for any sandwich.